Say what you will about Offset of Migos and the crop of modern day Hip-Hop artists in general but one thing you can’t deny is that they know how to entertain and this is definite proof of that!!! 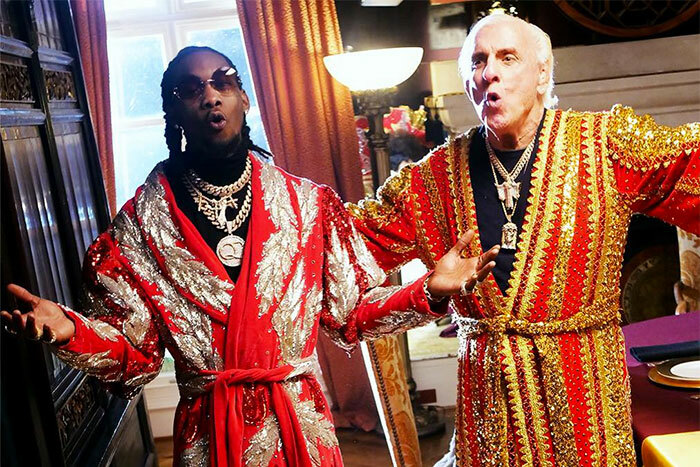 Offset and Metro Boomin team up with the legendary former NWA/WCW and WWE World Heavyweight champion, ‘The Nature Boy’, Ric Flair for one of the flyest videos of the year!!! The track is pretty damn fly too!!! So get your ‘Ric Flair Drip’ ready and strut away to your hearts content while shouting “Woooooooo” at the top of your voice!! !